As aging occurs, issues often arise that concern the elderly, those who love them and those who provide necessary care. The NJ Long-Term Care Ombudsman (NJLTCO) works to protect the rights and preserve the health, safety, and welfare of New Jersey residents age 60 and older who live in long-term care facilities. All services are free and confidential. The office serves multiple needs. Staff answer questions, and provide information. Officials also review proposals to withhold or withdraw life-sustaining medical treatment in end-of-life situations in long-term care. The NJLTCO handles complaints concerning residents' rights and welfare as well. Anonymous complaints are accepted. The Office is empowered to conduct public and private hearings, subpoena documents or personal testimony and has full, unrestricted access to elderly residents and long-term care facilities. Every effort is made to resolve disputes. Complaints received by the Ombudsman's Office are assigned to a Field Investigator who will make an unannounced visit to the facility and conduct a complete review of the facts, obtain records and interview residents and staff. When necessary, substantiated complaints are referred to the appropriate county prosecutor or state licensing agency. For instance, the Office refers concerns to the state Department of Health, which licenses long-term care facilities. The Office also refers concerns to the Office of Medicaid Fraud in the NJ Department of Law and Public Safety and boards and committees that oversee professional licenses for health care and other professionals. If you (or someone you know) lives in a long-term care facility and has a problem or concern, contact the NJLTCO at 877.582.6995. 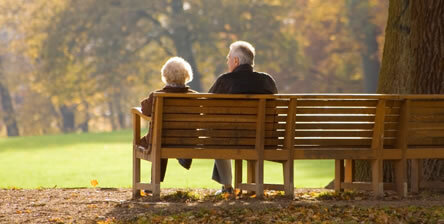 What Long-Term Care Facilities are Covered? In addition to individual resident advocacy, NJLTCO seeks opportunities to bring about systems change on local, state, and federal levels. The Office of the Ombudsman is assisted in its advocacy by citizen volunteers. Each trained volunteer advocate visits an assigned facility for at least four hours per week. These dedicated volunteers look out for people living in long-term facilities, many of whom have no one else to help them. More volunteers are needed. Learn more about this program. Call 609.826.5053 for more information.